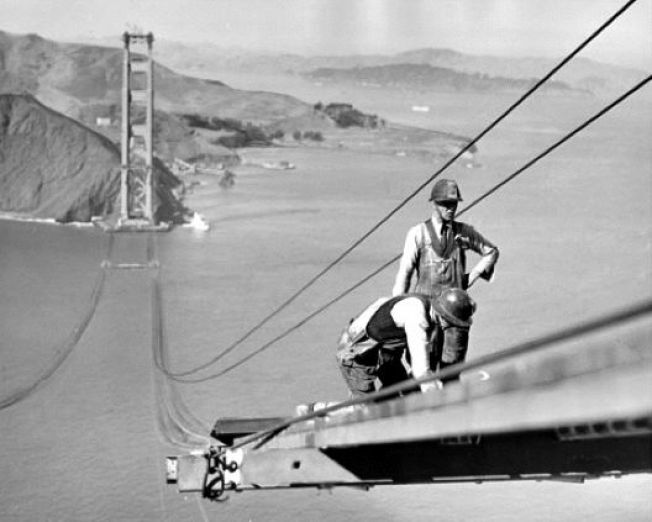 You could soon be walking on the Golden Gate Bridge with the workers. Golden Gate Bridge officials are going "full steam ahead" with an "experiential tourism" proposal for the bridge, allowing people to walk its catwalks or "hang out with bridge workers." The proposal apes a similar catwalk climb at Australia's Sydney Harbor Bridge, and if started by 2013, could bring in $63 million by 2020. The bridge district plans a new visitor center to go alongside the experiential tours, and has already opened doors to proposals from businesses equipped to run them. Get out those waiver-signing pens!